Ready for an adventure? 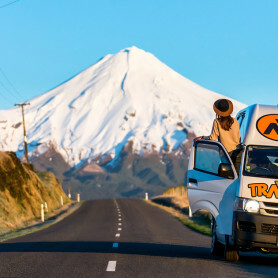 If you are considering a campervan hire Christchurch round trip, there are several options. Starting and ending at Christchurch allows you to take different routes and see amazing sites. We’re sharing two routes that we think you will enjoy. 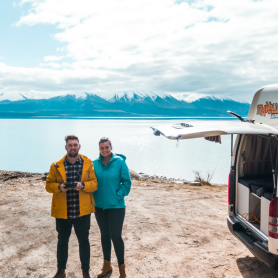 Depending on the route you take and the number of days in your trip, you will need to select the best campervan hire from Christchurch. Options include stationwagons, campers and campervan. With each route, you can determine which places to stay multiple days. It’s always good to have your rate and time away configured so that you have the right supplies and gear. After you have selected a campervan, it’s time to get on the road for some adventure. This route takes you up the coast to Amberley, then to Lake Sumner National Park, onto Hammer Springs and back down the coast. The route is approximately 500 km. You can choose to spend as many days at each stop. Here are a few ideas for fun. The drive up the coast is sure to be beautiful. When you arrive in Amberley, you’ll be able to find campervan parking at the Amberley Beach Domain. This location has toilets and water on site as well as electrical outlets. There is a small charge for set up on the domain. Amberley is a quiet town known for its cafes and craft shops. It provides gorgeous views of mountains to the north and south. If you decide to stay for a few days, consider a wine tasting in the Waipara Valley or take a hike around Mount Grey and Lake Janet. Or, simply take in the views of the ocean while relaxing with a beverage and a good book. Head north after enjoying Amberley and head to Lake Sumner National Park. This is where you can take many trails for day hikes. All routes do include river crossings and some navigational skills, so be prepared. 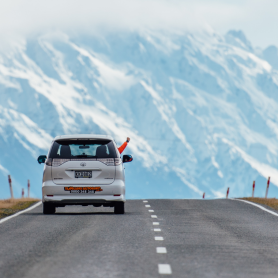 After your hike, then head over to Hamner Springs for a few days. Here you’ll find several campervan options. The Hamner Springs Holiday Park offers scenic camping. It’s also on a few minutes from Hamner’s thermal hot pools and alpine village. You can also hike, fish, ride horses, bike and more. Then it’s time to head back to Christchurch. If you stay several days at Amberley and Hammer Springs, you can do this trip in seven to 12 days. 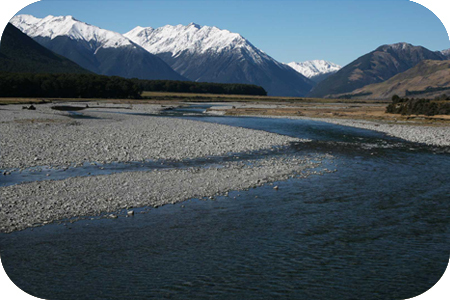 On this route, you’ll start heading west to Windwhistle then go north to Greymouth. Finally, you’ll head south to Amberley and back to Christchurch. The total roundtrip is approximately 572 km. Stop by Windwhistle on your way to Greymouth. It’s a rural area but has some beautiful scenery to capture. It’s well worth the stop for a few hours. Then head on to Greymouth. Greymouth has several campervan parking options. It’s a very unique city of the western coast. It was once the site of the Maori pa Mawhera (which means ‘widespread river mouth’). 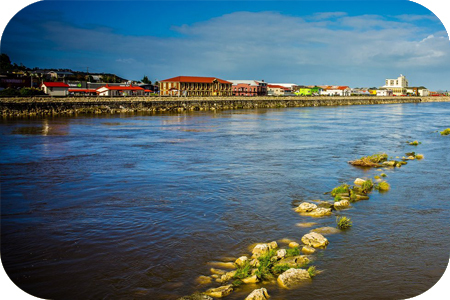 You will want to spend several days in Greymouth to see it all. You can check out museums, and tasting tours at the local brewery Monteith. There are also many galleries that showcase pounamu (jade). Relax by fishing or be more adventurous and check out rafting and caving. You will also want to experience the Point Elizabeth Walk which passes through a scenic reserve and old gold mining site. It starts at Rapahoe Beach, which is also a lovely swimming spot if in season. Then drive back down to Amberley and explore the east coach beach. Park at the Amberley Beach Domain for several days. Then you’ll head back to Christchurch. Depending on how long you stay at the stops, this trip could be five to eight days. 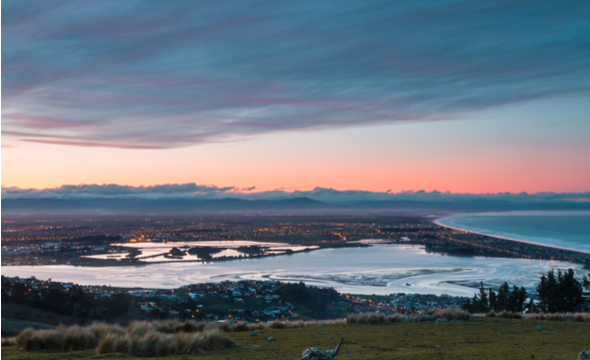 Either way, you’ll see some of the beauty and majesty of New Zealand. 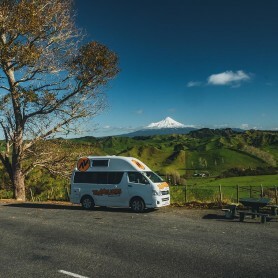 To learn more about campervan hire Christchurch routes and how to find the right vehicle, please view our rental options. We’d love to help you find your next adventure.